When guests arrive to stay in your home with a little to no notice, providing an inviting, relaxing space for them is one of the best ways to show your hospitality. Impromptu visits are bound to happen, but with these simple tips for being guest room-ready, you can be assured your family and friends will know they are always welcome! The first step in welcoming guests is to provide a clean, uncluttered environment. Quickly freshen up the room by opening the curtains and windows. Let the sun shine in as you vacuum and dust the windowsills, furniture, and picture frames. Clear floors, furniture, and counters to make sure there is adequate space for your guest’s suitcases and belongings. If space allows, a comfy chair in the guest room is ideal for putting on shoes, reading, or relaxing. Keep air filters updated to ensure the room is kept as allergen-free as possible. While sprucing up, don’t forget to tidy the guest bathroom, as well. Because the majority of time is spent resting and sleeping in a guest room, you will need to make sure the bed has a set of soft, freshly-laundered sheets. When making the bed, keep in mind the time of year. You may need to add warmer blankets during the winter season, and in warmer months, lighter bedding often works best. It’s always a good idea to have extra quilts available in the closet. For rooms with hardwood floors, consider placing a cozy rug near the bed for additional warmth. As a final touch, one or two decorative pillows that make family feel especially welcome. It is important to have your Wifi password handy for guests. Keeping it in a stylish frame on the bedside table will make it easily noticeable and works much better than a piece of paper that could become lost. It is beneficial to know what makes your guest feel at home. Keeping a well-stocked decorative basket with items such as fresh toothpaste and toothbrushes, dental floss, soaps, travel-size shampoos and conditioners, body wash, hand lotion, band-aids and cotton balls can do wonders for your guest. In the guest bathroom, always set out fresh towels, hand towels, and washcloths that are kept especially for company. Time permitting, adding a fragrant vase of fresh flowers from your garden is an added touch your guests are sure to enjoy. 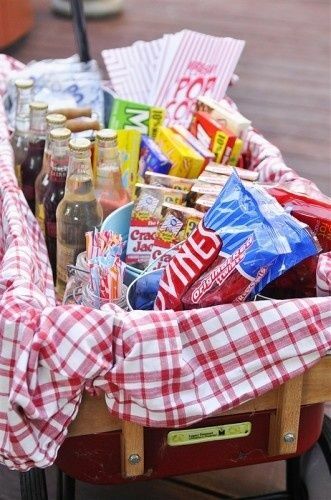 If you have a few extra minutes, another thoughtful way to care for your guests is to set out a basket filled with some easy snacks and beverages. Water bottles are especially nice to have in addition to an assortment of fresh fruit, granola and/or protein bars, small packages of crackers, or a variety of chocolates treats. Last but certainly not least, set out some personal touches for your visitors to enjoy. Framed photos of fun memories give the room an added cozy feeling. Proper lighting is important in the room, and it is a good idea to make sure all light bulbs are in working order. Candles are a great way to add ambiance and tranquility. It is best to use soft, subtle fragrances that are not too overpowering. A selection of coffee table books, magazines, and even local travel guides are a nice touch in the guest room. And finally, nothing is more welcoming than a personalized notecard expressing to your guests how wonderful it is to have them there! These simple and easy tips for getting your guest room ready that take minimal effort, but speak volumes to make loved ones feel welcome. In turn, you can know that these little details mean so much to your guests and will make their stay all the more memorable. Annie Grace Fleming is a Public Relations Specialist for Crawlspace Depot. She regularly produces content for a variety of blogs that cover topics from insulation to air filtration systems.